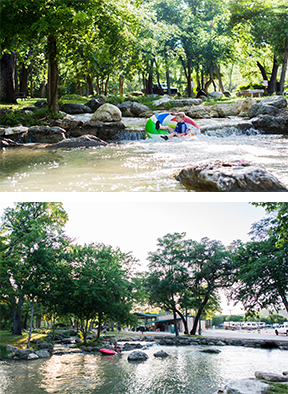 Camp Huaco Springs is one of the largest and most beautiful campground facilities on the Guadalupe River. Located at the First Crossing on River Road, this 30 acre paradise has something for everyone with over a mile of riverfront sites. 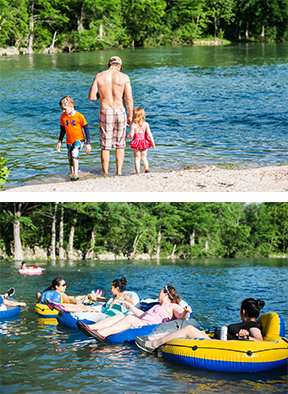 Located on the scenic River Road in New Braunfels, Texas. 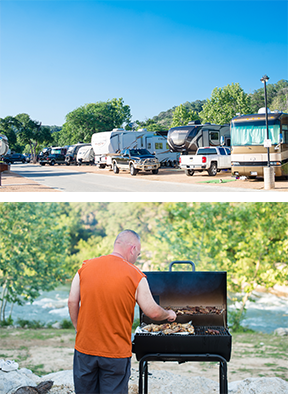 Our beautiful property has something for everyone, from primitive camping, electric camping, RV’s of any size and even cabins. Camp Huaco is owned and operated by Rockin’ R and hosts Rockin R’s second largest equipment rental outfit for any of your water recreation needs. 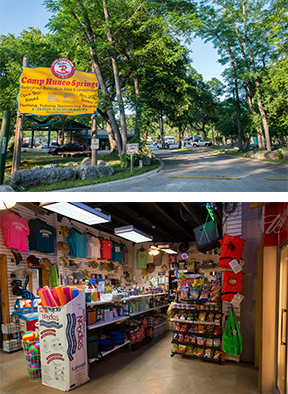 Our campground is nestled in the Texas Hill Country between San Antonio and Austin. In addition, we are located 3 miles form Historic Gruene, Texas. 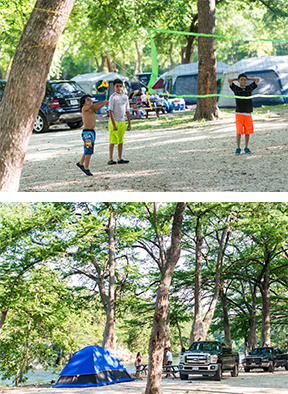 Camp Huaco Springs staff makes every effort to make your stay here the best camping experience you can imagine. 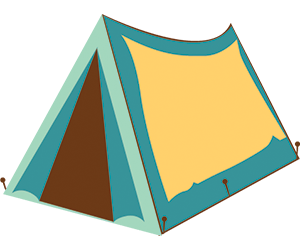 We have forty-nine tent sites with electricity located on the waterfront in the Northern most section of the campground, and over fifty wilderness sites on our southern end. 75 full hook-up sites are located right on the Guadalupe by Huaco Falls. All sites have both 30 amp, 50 amp, and 110 amp service. There are barbeque grills and picnic tables at each site. 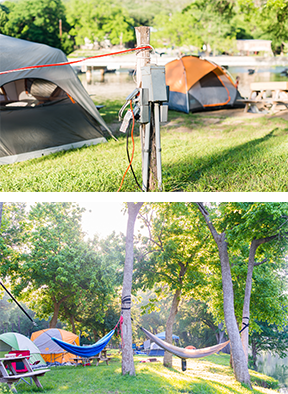 Do you prefer to “camp indoors” or stay in an air conditioned cabin? Well, then take a look at the following list of cabins and shelters. 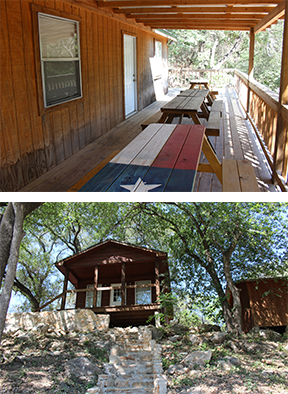 All of our cabins are overlooking the Guadalupe River. 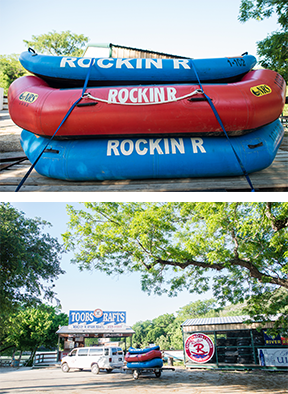 Our second largest river equipment rental unit is located right at the end of the campground. Huaco Raft is within walking distance of any site on the property.